Well, it looks like this current heatwave will continue for a couple of weeks. I, for one, am not complaining. It’s nice to have some heat after months of feeling like you’re living in a fridge. Unsurprisingly sales of beer, cider, sun lotion and insect repellent have increased over the past week. 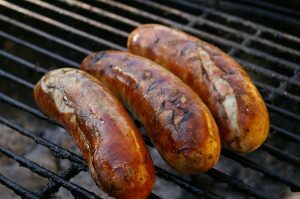 So too have sales of ice cream and barbecue food, such as burgers, sausages and chicken, as well as salad ingredients. Good weather means the opportunity for alfresco dining. But it also means that we need to be particularly mindful when it comes to food safety. Here are some tips to keep you on track. It might seem an obvious one, but always wash your hands before handling food. You also need to be mindful of washing them after you cough or sneeze into them. Or after touching pets or using the toilet. Don’t overload the fridge. If the air in the fridge isn’t allowed to circulate, it won’t keep the contents as cool as intended. If the salad and meat is fighting for space with a crate of beer, remove the beer. You can always put this in a bucket of ice to stay chilled. Cold beer is a ‘nice-to-have’ rather than something which is safety-critical. 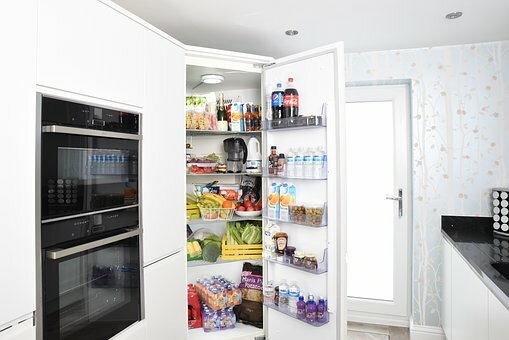 Another point about temperature control in the fridge – if you’re planning on reheating hot food, keep it in the fridge before you do, but allow it to cool down first. Putting hot food straight into the fridge will raise the temperature. 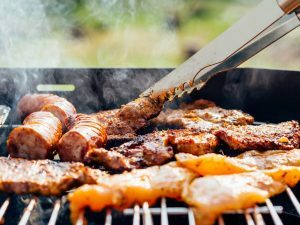 If you’re having a barbecue, be sure that the food is cooked all the way through. Always check to see if burgers, sausages, chicken etc. is not pink on the inside. 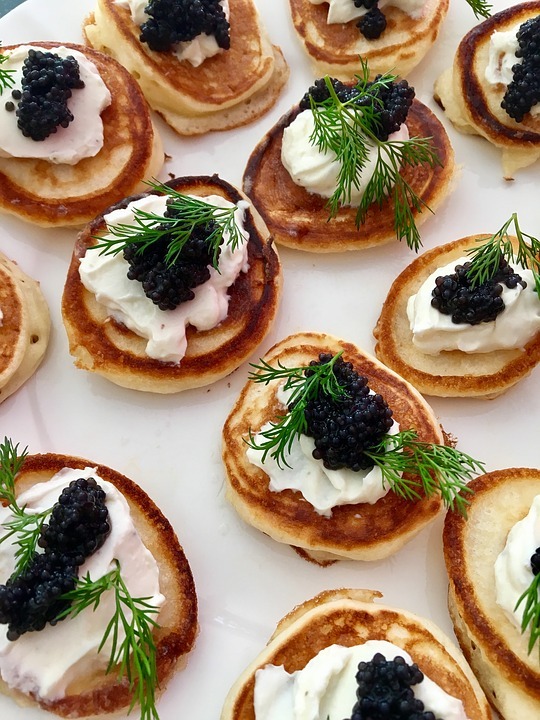 Don’t give in to pressure to get food on the plates. If it takes a few minutes more, people will just have to wait – better to be safe than sorry. You also need to avoid the danger of cross-contamination by keeping raw and cooked food separate. Don’t offer up a cooked burger to somebody on a plate that previously held raw chicken, for example. The same rule goes for vegetables – wash them first and prepare them on a clean chopping board with clean utensils. Additionally, I know it’s tempting to be well prepared, but don’t get things out of the fridge until the very last minute. Cheeses, anything containing cream, and raw meat should not be left out in the sun for longer than is necessary. Once outside, cover it until you need it. Also, check ‘use by’ dates before serving food up to your friends and family. Don’t forget to make sure that the barbecue grill is clean before you cook! Nobody wants to eat food cooked on a rusty dirty barbecue coated in last year’s grease. Give it a good scrub with soapy water and rinse and dry the grill well before you begin. OK food safety lecture over! (But if you do want to know more about the basics of food safety, why not take our online Level 2 Food Safety course? It’s just £15 plus VAT and you’ll get a certificate at the end of it). 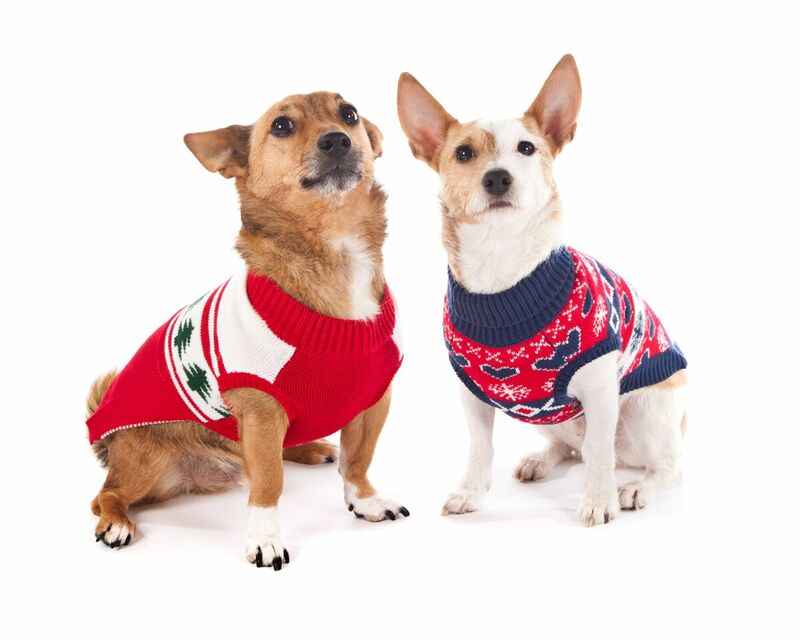 Did you know that there are an estimated 51 million pets in the UK? From Great Danes to Goldfish, we Brits truly are a nation of pet lovers. As any pet owner will know, certain animals – especially cats – can be quite fussy eaters. 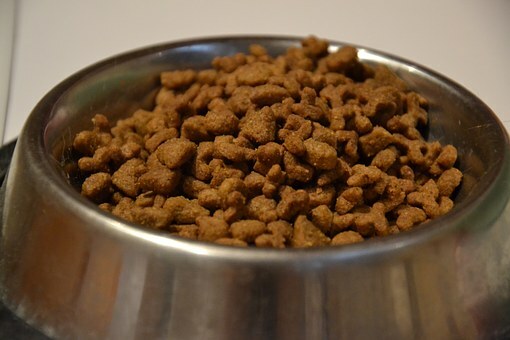 Getting the right texture, flavour, appearance and aroma is therefore as important to pet food manufacturers as it is for those producing food for humans. The UK’s most popular pets are cats and dogs. Whilst there are some vegetarian foods available on the market, they are essentially carnivores. In addition, cats apparently aren’t considered to be able to taste sweetness in carbohydrates, so the focus on meat and savoury flavours in pet foods is important. We’ve all seen cats take one sniff of some food, turn their noses up and walk away. So how can we encourage them to accept and enjoy the food we are offering? Unsurprisingly it’s all about taste. As humans there are certain foods that we consider delicious or ‘moreish’. 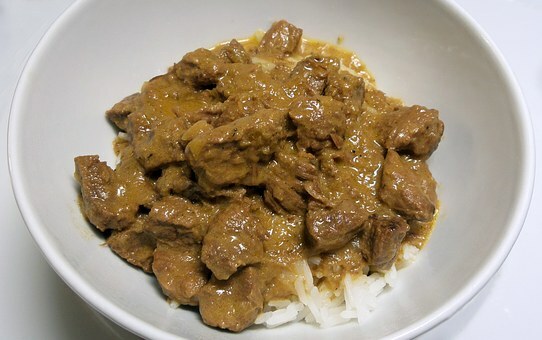 More often than not it’s foods that are said to have the ‘umami’ taste. Umami is an invented word, created by Dr Kikunae Ikeda of Tokyo Imperial University in 1908. Its meaning, roughly translated from the Japanese, is ‘yummy deliciousness’ or ‘a pleasant savoury taste.’ It’s neither sweet, salt, sour or bitter. Fussy felines and other meat-eating pets are also particularly attracted to the umami taste. 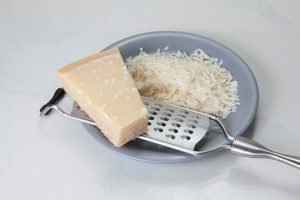 It’s present in products like parmesan cheese, but can be created by cooking meat. The aroma of a steak frying or a burger being grilled might even make you salivate. This is because amino acids are released during the cooking process which makes it smell and taste great. It’s known as the Maillard reaction. Of course, most pets aren’t fed on steak and burgers. Pet food is generally manufactured from surplus products from the human food chain. The bits we don’t fancy eating, such as chicken feet, udders, brains etc. are still very nutritious. However the challenge is to make these pieces of meat palatable. That’s the job of the flavourist. One of the most well-known and respected flavour chemists is Professor David Baines. He has worked to develop flavours with food and ingredients companies all over the world. Together with flavour application specialist Mr Richard Seal, he tutors a specialist flavours course for us here at Verner Wheelock. Entitled Creating Thermal Process Flavours, it is the only course of its kind in the UK to focus mainly on savoury flavours, and this year runs from 29th October to 2nd November in Skipton, North Yorkshire. The reason I’m mentioning Professor Baines in a blog post about pet food is that he has considerable knowledge in this area. In fact, one of his very first roles was developing savoury flavours in cat and dog foods. As well as attracting flavourists from snack foods, ingredients and convenience food companies, the course has also proved very beneficial to pet food manufacturers. 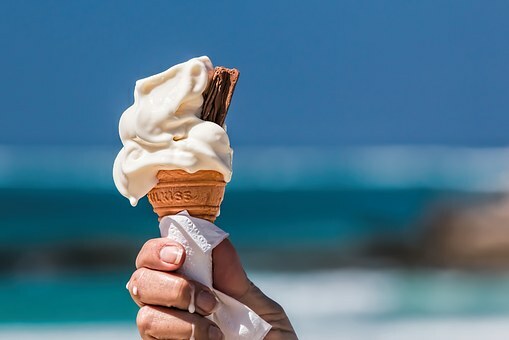 Creating Thermal Process Flavours gives flavourists a chance to step outside their normal daily activities and really focus on the components and construction of a savoury flavour, and now also covers sweet brown flavours such as caramel and chocolate. 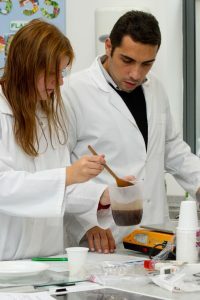 It’s lab-based, so delegates undertake experiments with process reaction flavours, enzyme modified flavours and topnotes. These are combined with in-depth lectures and application and evaluation of their creations. Delegates leave with a toolkit to enable them to recreate the flavours in their own working environment. 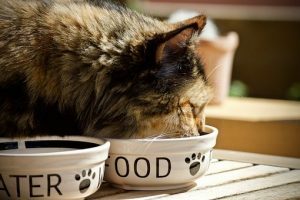 Pet food not only needs to be tasty, it also needs to be produced safely. You may not be aware of this, but there are more than 50 items of legislation covering pet food manufacture. There are strict rules governing the ingredients that can be used in pet food. For instance, the levels of pesticides in cereals and residue levels of veterinary products in animal products must be monitored. Also, the EU Feed Hygiene Regulations cover food safety and hygiene, HACCP, storage, personnel, facilities and record-keeping. Since the methods by which pet food is produced are similar to other food manufacture many of the same rules apply. Personnel still require food safety and HACCP training and need to be ready for audits. Please see our latest training calendar for details of these and other courses we are running throughout the year. Alternatively, why not enquire about our in-house training courses? It’s finally summer time, so it’s out with the stodge and in with the fruit and salad! When you’re preparing lettuce, cucumber, tomatoes, strawberries, raspberries and the like, you might encounter the odd creepy crawly. However, these can be removed easily. it’s the microscopic bacteria you can’t see that can cause serious food poisoning. That’s where having food safety and hygiene knowledge is important. 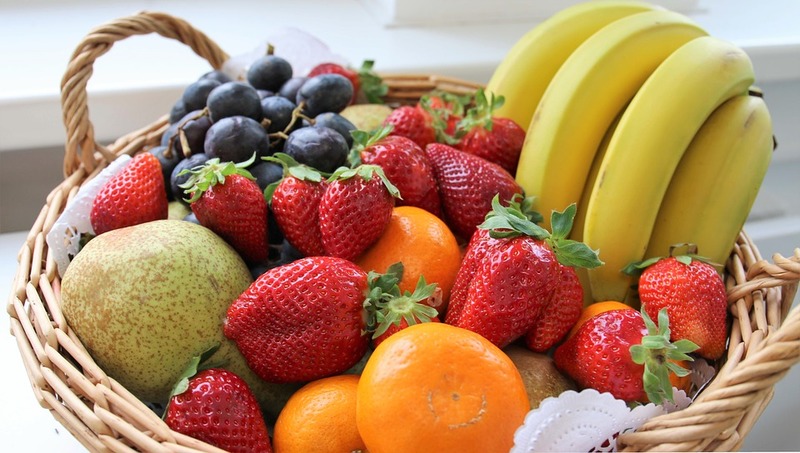 There were reports in the news recently that eating contaminated fruit had killed a 64 year-old woman in Australia. 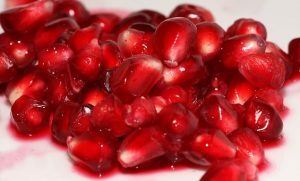 She and 24 others had contracted Hepatitis A from consuming frozen pomegranate seeds. The virus takes around 15 to 50 days to develop. Symptoms include nausea, fever, vomiting and yellowing of the skin. Hepatitis A and other types of illness linked to fruit and vegetables is often caused by traces of faeces. These can be transferred to the food from a number of sources. Generally it is in the water used to wash the produce. It can come from manure which has got into the water stream if fresh water has not been used. Alternatively it can come from the hands of staff at the processing facility. Continual re-use of processing water can result in a build-up of microbes (including pathogens) which have been left behind in the water from the previous load. Therefore final rinse water should always be of drinking quality. Good personal hygiene is vital if you are involved in processing, packing or handling produce – and also if preparing it at home. 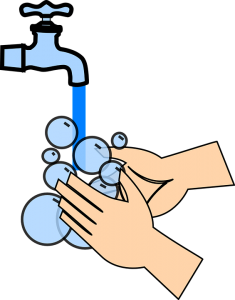 You should wash hands thoroughly including under your fingernails and between your fingers. Cough or sneeze away from food and always cover your mouth. Then wash your hands immediately. If you have cuts, sores, or lesions on your hands, make sure that they are effectively covered and wear clean gloves. Finally, if you are suffering from a virus or diarrhoea, don’t handle food – it’s just not worth the risk. 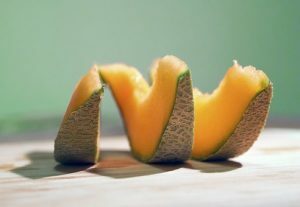 One fruit which seems particularly prone to harbouring food poisoning bacteria is cantaloupe melon. It has been responsible for numerous cases of Listeria food poisoning, especially in the USA. Reasons why include the number of times they are turned during maturation. Another is the potential for human pathogens reaching the flesh via the stem scars. If you’re preparing a melon you should clean the skin using fresh water and a clean scrubbing brush. This is to prevent bacteria from the outside from reaching the flesh when you cut into it. In fact you should wash all fruit, even if you plan to peel it. 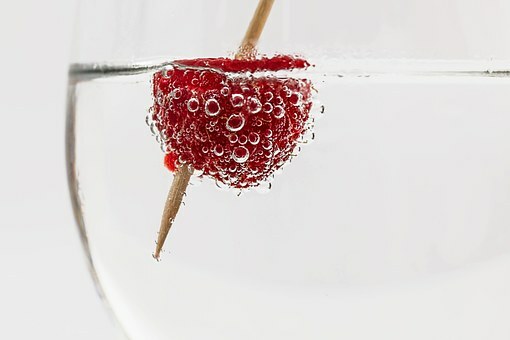 If you can’t scrub the skin of a fruit, for example berries, the best thing to do is rinse then in fast-running water. This is better than soaking them since the friction helps to remove bacteria more efficiently. It goes without saying that you also need to follow the usual food safety rules. Wash your hands. Prepare it with clean utensils on a clean surface which has not been in contact with raw meat to avoid any danger of cross-contamination and potential illness. For more information about food safety and hygiene, please click here. If you’ve recently left school or college or are looking for an apprenticeship position or entry level role, you could be just the person we’re looking for! 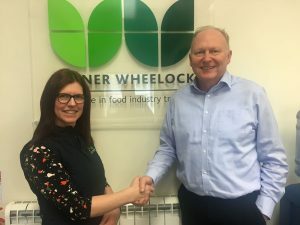 Verner Wheelock has a fantastic entry level opportunity to join our successful food industry training consultancy based in the beautiful surroundings of the Broughton Hall Estate, just outside Skipton. 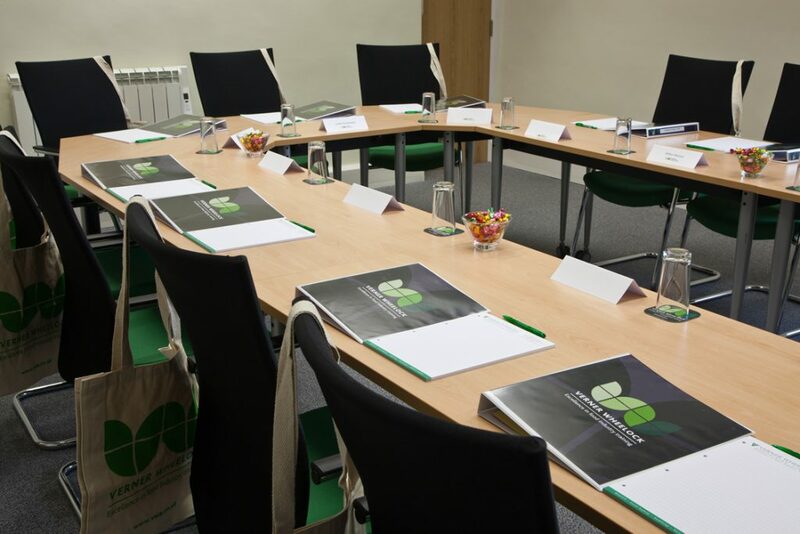 We’ve been established since 1990 and train hundreds of delegates every year in subjects such as Food Safety, HACCP, Auditing and other specialist areas. We have an excellent reputation for training and customer service. This full-time, permanent, Training Support role is an ideal first or second job. You’ll be taking care of admin duties to make sure everything runs smoothly for our training courses and exams. We’re looking for someone with good levels of literacy, numeracy and attention to detail. A flexible, ‘can-do’ approach is necessary as you will be working as part of a small team. You’ll have excellent IT skills and will ideally be familiar with databases, spreadsheets and PowerPoint. You’re always polite and professional when dealing with clients, both face-to-face and over the telephone. This role has loads of different duties to keep you busy, from helping prepare course material and keeping it updated, to booking locations for courses. You’ll be involved with the chasing of purchase orders and ordering office supplies, as well as dealing with post and incoming phone calls. When courses are running the role will also include setting up the training room, providing refreshments and meeting and greeting delegates. Salary will be commensurate with experience, plus bonus scheme and company pension. If you feel you have the desired skills and enthusiasm for the role, and would like to join our small, friendly team then we would love to hear from you. BRC Issue 8 – what’s new? The much-anticipated BRC Global Standard for Food Safety Issue 8 is published in August this year. It is 3 years since the Standard was last updated and there have been a few major changes in that time. The new Issue 8 is still in draft format although it’s likely that most of the changes put forward will be adopted. This includes greater focus and responsibility on Senior Management. Managers will need to demonstrate a commitment to continual improvement through the establishment of a strategic plan for a robust food safety culture. What other changes will there be between BRC Issue 7 and BRC Issue 8? In addition there will be new environmental monitoring clauses and a requirement for root cause analysis procedures. Following the 2 Sisters scandal, companies will also need to implement a confidential whistle-blower reporting system. This will enable staff to report concerns relating to product safety, integrity, quality and legality. Other changes likely to be approved concern the creation of a new section where all high-risk, high-care and ambient high care requirements are centralised. There will also be a focus on cyber security and greater clarity for sites manufacturing pet food. Another area concerns global applicability and benchmarking to the Global Food Safety Initiative (GFSI). Where can I find the BRC Global Standard documentation? You can view both the current BRC 7 and the draft version of BRC 8 by using the links below. BRC 8 will be effective from February 2019. Therefore, anyone who has an audit after the end of January 2019 will need to familiarise themselves with the differences between BRC Issue 7 and BRC Issue 8. For information on all our auditing courses, please click here. If you work in the food industry, it’s essential that you have the correct training. As a minimum, anyone handling food for public consumption needs to have basic food safety training. Poor food hygiene can lead to unsafe food being sold or served. Unsafe food can result in serious illness or, in extreme cases, death. In addition, it can damage your business reputation, incur hefty fines and even put the future of the business in jeopardy. In some instances training is simply seen as a box-ticking exercise. But what’s the point of that? 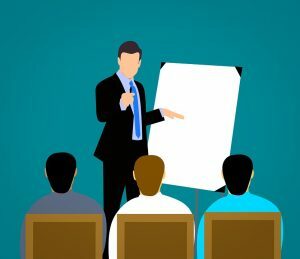 Sure, you can demonstrate that the training has been undertaken, but how is that really of benefit? Training is only truly effective if you understand the reasons why you need to perform a particular task in a certain way. It’s also only effective if you take what you have learned and use it in the workplace. Doing ‘just enough’ doesn’t really help anyone, and now business managers are realising there is a case for going ‘beyond compliance‘. The ideal situation is to achieve a food safety culture where food safety and continuous improvement are a way of life. To achieve this you need buy-in from all members of staff in every department. It needs to be led and championed by senior management. They need to demonstrate that food safety is of the utmost importance and must be taken seriously. As seriously as productivity and profits. That means by everyone in the company, during every shift. You should write the importance of food safety into the company’s mission statement. Ensure it is part of the company’s vision to continually improve. Encourage staff to be proactive rather than reactive. For example, has a prominent food manufacturer had a serious food safety recall recently? Keep abreast of the facts. Also keep your ear to the ground for any industry innovations and any updates in legislation. In a busy and competitive working environment there are inevitably production pressures and tight deadlines. However, it’s vitally important that employees follow SOPs correctly. Failure to do so can compromise food safety. That’s why as part of a training programme it should be explained clearly not just which tasks need to be performed, but the consequences of not performing them, or of performing them out of sequence. Supervisors need to be trained to ensure that SOPs are being followed and to monitor performance. Ongoing staff training is important, but so is the provision of the correct tools to do the job – and the requisite PPE. One of the major hurdles to be overcome when developing a food safety culture is staff engagement. If the staff currently have no say in decision-making, or are disengaged from work in any other way, they are likely to have the ‘not my problem’ attitude when things go wrong. The way to counter this is by involving them in decisions regarding food safety policy. Make them feel valued, give them ownership of their tasks/area and providing training. You can reward them for positive food safety behaviour and get them to realise that food safety is an important part of their jobs. Another positive to come out of a food safety culture is that you should feel comfortable during an unannounced audit. 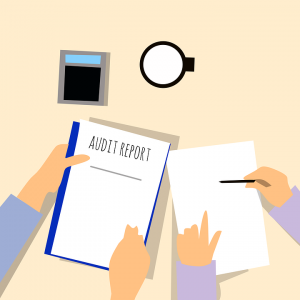 You can enrol some staff in Auditing Skills or Lead Auditor training to ensure you’re fully prepared and carry out regular internal audits and inspections. It should get to a point where food safety protocol is followed as a matter of course. It just becomes part of a daily routine. Going over and above to ensure food safety should become the norm instead of doing the bare minimum and hoping for the best. 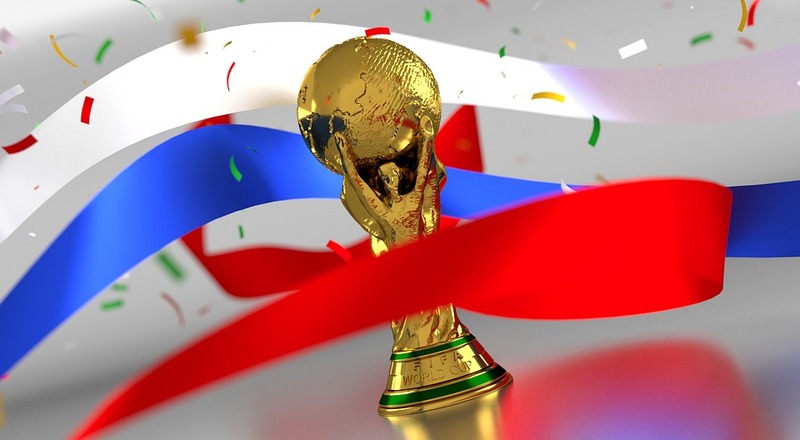 Verner Wheelock will continue to conduct Sedex Member Ethical Trade Audits (SMETA), the findings of which are shared through The Supplier Ethical Data Exchange (Sedex). They work to a consistent, professional standard to ensure that all audits are in compliance with the internationally-recognised Ethical Trading Initiative (ETI) Base Code. Verner Wheelock is also a member of APSCA – the Association of Professional Social Compliance Auditors. APSCA is a global organisation which aims to improve the quality of social compliance audits with a view to contributing to the improvement of workplace conditions. Chocolate production hazards – HACCP Easter everyone! Did you know that Cadbury’s make between 40 and 50 million Easter Eggs each year? That a whole lot of eggs! As with every other large scale food manufacturing operation, chocolate producers need to have a HACCP plan in place. But first, let’s look at the various stages in producing chocolate. 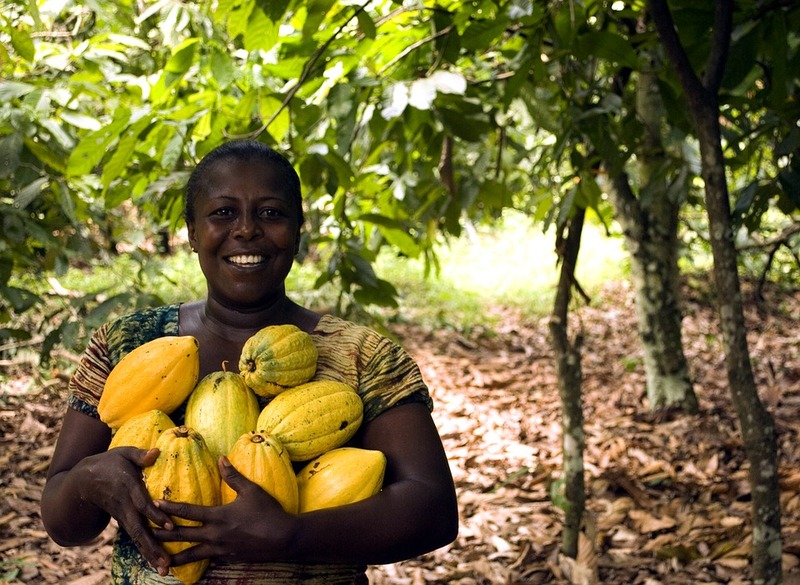 The first stage of the chocolate chain is harvesting. Cocoa pods are collected and then split so that the white pulp containing the cocoa beans can be scooped out. Next workers place the pods and pulp into large containers where they ferment. Someone turns the beans periodically so that they ferment evenly. The process takes around 5 days. Drying is the next process. This is generally achieved by spreading the beans out into a single layer and leaving them in the sun in temperate countries. Otherwise they are dried by the fire. The cocoa beans are then placed into sacks and exported to the chocolate maker. Once the beans have been received and checked, they are roasted. The next step is known as winnowing. This is the process of blowing air through the product to remove the husks from the cocoa beans. What you are left with what are known as nibs. The nibs go through a grinding and conching process. Depending on the size of the manufacturer this is either done separately or in a single process. The end result is refined granules of cocoa containing both cocoa mass (cocoa solids) and cocoa butter. 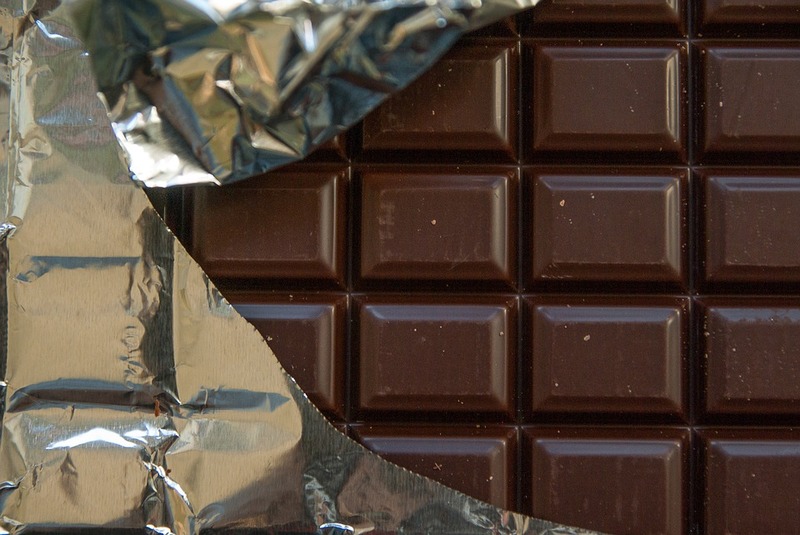 The more cocoa butter in a bar of chocolate, the better the quality of the chocolate. Some manufacturers replace some of the cocoa butter with cheaper vegetable fats. The ground particles are combined with sugar and other flavourings. This is where the milk powder is added if it is to be milk chocolate. The mixture is then tempered. This means heating and then cooling and then heating it again so that crystals form that allows the chocolate to snap, rather than crumble. This process is done in a large tempering machine which can accurately control the temperatures and keep the liquid chocolate circulating evenly. The final step in producing a chocolate bar or Easter egg is pouring the melted chocolate into plastic moulds and leaving them to cool. They are then tapped out, wrapped and boxed, ready for transportation. As with any food production process, there are various physical, chemical and microbiological hazards present in chocolate manufacture. 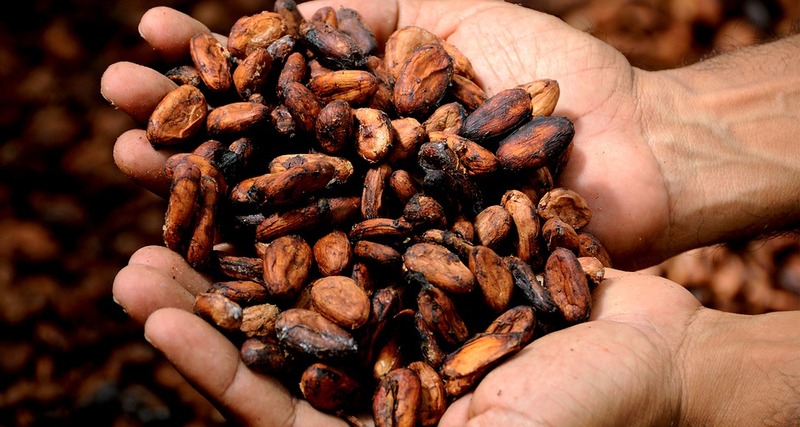 At the receiving stage of the cocoa pods these are wood, chaff, plant materials, pesticides and fertilisers and pests, such as insects or worms. During the splitting process you need to be vigilant of metal shards, chemicals from equipment used and potential contamination from handlers. The fermentation process often takes place in wooden containers, so there is the danger of pieces of wood. There is also the risk of growth of salmonella microbes. Hazards whilst drying the beans include dust and foreign objects. Also the development of mould if the beans are not left to dry properly before being bagged. Once the beans reach the chocolate manufacturer there is the risk of microbial growth due to insufficient roasting times and temperatures. At winnowing there is also the potential for contamination due to foreign objects in the air, dust , pollution and microbes. Grinding and conching hazards include stones and other physical contaminants from added ingredients, metal shards and chemical taint from equipment as well as microbial contamination. At the tempering stage there is also the risk of metal fragments as well as contamination form poorly maintained equipment. During moulding physical hazards include dust particles, plastic materials and microbiological contamination from poorly cleaned moulds. Packing hazards are foreign objects, labelling ink and packing materials. Of course, many hazards can be avoided by the implementation of an effective prerequisite programme. 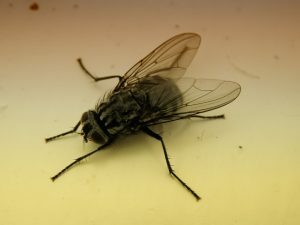 This includes such areas as pest control, cleaning programmes and waste control. Other factors include operator training, employee personal hygiene and the use of PPC as well as scheduled preventative maintenance programmes. Regular calibration is also essential. Many Critical Control Points rely on the accuracy of meters, thermometers, gauges, pH meters, metal detectors, timing devices, scales and pressure gauges. Tolerances are often minute so even a slight inaccuracy can compromise food safety. 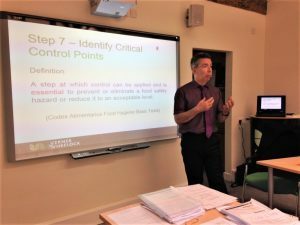 Just a reminder that in a HACCP programme a Critical Control Point (CCP) is a step where control can be applied and is essential to prevent or eliminate a food safety hazard or reduce it to an acceptable level. In many instances in food production it is the heating, cooking or cooling stage. Another CCP is a final metal detection. Essentially a CCP is the last point in a process where the food safety hazard can be controlled. 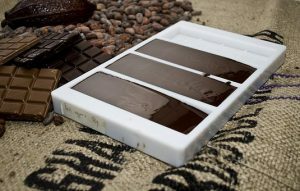 There are several control points in the chocolate production process, but only a couple of them are critical. Examples of Critical Control Points are during the roasting and wrapping processes. The cocoa beans need to be roasted at temperatures between 105?C and 120?C and to specific times to eliminate pathogens. 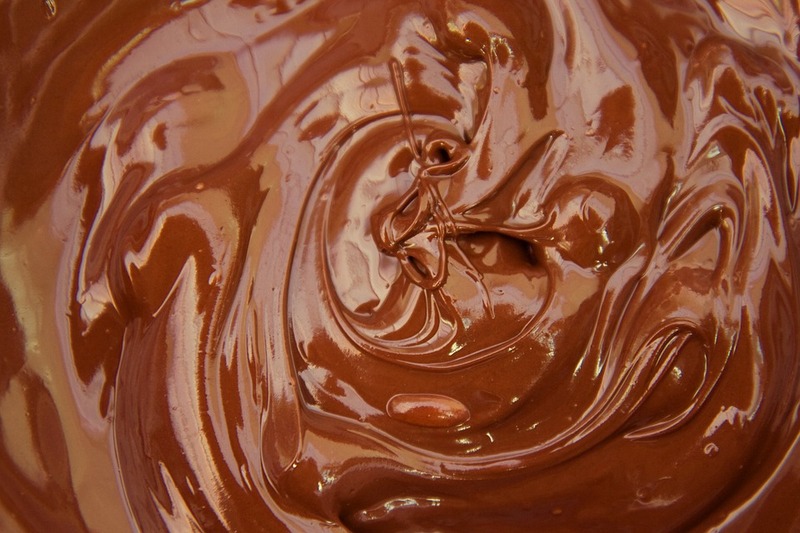 The chocolate bars or eggs also need to be wrapped in aseptic conditions. Metal detection is also a critical control point. To view our latest training courses in HACCP and Food Safety, please click here. What is a Thermal Process Flavour? A thermal process flavour is produced by heating together two or more flavour precursors under carefully controlled conditions. It is sometimes called a ‘reaction’ flavour. Thermal process flavours are created through the Maillard reaction. This is a reaction between a nitrogen containing compound and a reducing sugar. The Maillard reaction occurs naturally when roasting, grilling, baking, boiling, frying or toasting foods containing protein and carbohydrate. A good example of it is the flavour generated when a piece of steak is fried in butter. The fat breaks down and produces a caramelised taste. What is a flavour precursor? 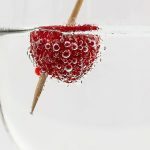 A flavour precursor is a product, which doesn’t necessarily have flavouring properties itself. It is intentionally added to food to produce flavour by breaking down or reacting with other components during food processing. 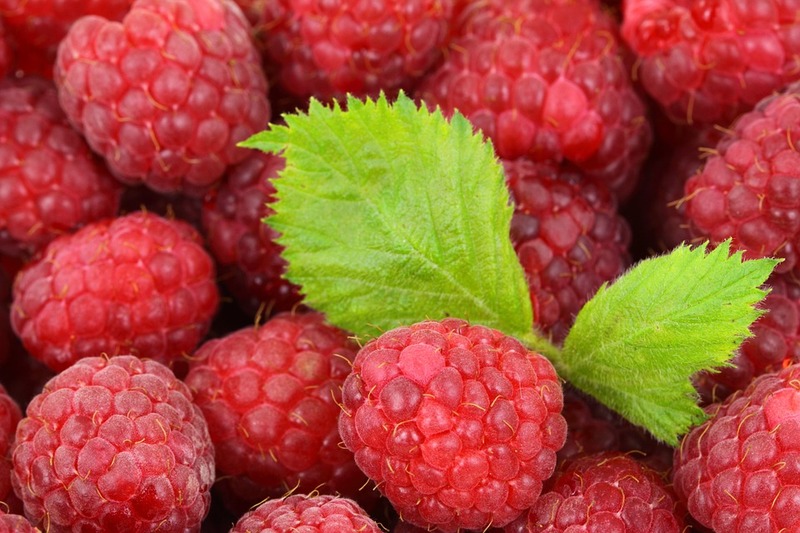 Carbohydrates, amino acids and oligopeptides are examples of flavour precursors. Why do we need flavourings? There are a number of reasons why we use flavourings. They are often used to give a specific flavour to a product, e.g. chicken flavour crisps, or to replace an original flavour which might have been lost during food processing. Flavourings are added to ready meals, soups, snacks, gravies and sauces etc. Also, the demand for healthier food which is lower in fat, sugar, salt or calories has also seen more use of flavourings in food. Removing fat, sugar and salt also removes flavour so flavourings are used to make them more palatable. Thought there were just four basic types of flavour? Think again. 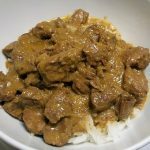 Umami is neither salt, sweet, bitter or sour. It is roughly translated from the Japanese as ‘yummy deliciousness’ or ‘a pleasant savoury taste.’ The taste was isolated early in the 20th century and found to be glutamate. This is an amino acid released in certain savoury foods, often through cooking or fermentation, which makes them taste delicious. 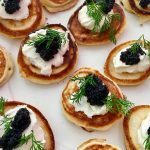 When it is combined with a group of chemicals called ribonucleotides, which also occur naturally in many foods, it creates a ‘moreish’ taste on the taste buds – umami. The umami taste is found naturally in foods such as parmesan cheese, cherry tomatoes, soy, mushrooms, cured meats, dried fish, other cheeses, cured meats, slow cooked meats and vegetables, such as soups or broth. 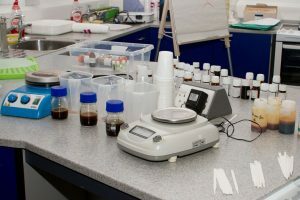 If you’re a graduate working in NPD and flavour technology in the food, seasonings and flavour industries, you might be interested in a specialist course we are running. Creating Thermal Process Flavours is a unique laboratory based reaction flavours course tutored by leading flavour chemist Professor David Baines and flavour specialist Richard Seal. The course comprises a range of specialist lectures and hands-on practical sessions to reinforce the learning. You will have the freedom to create your own process meat flavours. These will then be applied and evaluated in relevant food products. Creating Thermal Process Flavours takes place in Skipton from 29th October to 2nd November. To find out more and book your place, please click here. Ahead of the course, Professor Baines is speaking at FlavourTalk in Amsterdam on Thursday 15th March. His lecture will explore the evidence for the European Food Safety Authority’s (EFSA) recent decision to introduce an Acceptable Daily Intake for glutamic acid and glutamates as food additives. Professor Baines specialises in food flavours with specific expertise in flavours derived using cooking processes. He has worked across 5 continents with food and flavour companies. 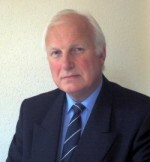 David is author of several papers and book chapters and is named on 5 flavour patents. 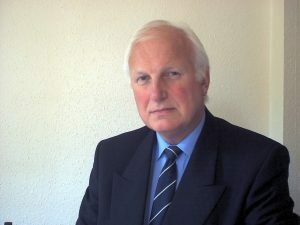 He co-edited the book ‘Natural Food Additives, Ingredients and Flavourings.’ He is also co-editor of the internet flavour bulletin ‘Flavour Horizons’. He was recently appointed Visiting Professor at the University of Reading.